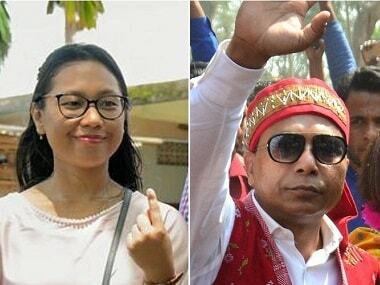 Editor's note: As Meghalaya goes to the polls, Firstpost travelled to the northeastern state for a series of stories on the political economy. We looked at the state's economics, culture, society and sport and examined the interlinkages with politics to give you an in-depth view through a three-part series. 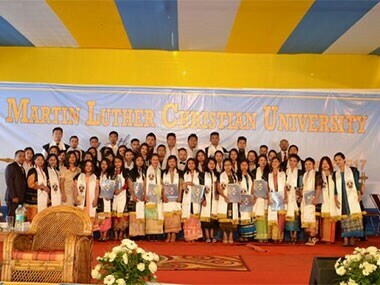 In 2005 Meghalaya passed the Martin Luther Christian University Act to establish a private University of the same name. Mukul Sangma, the then education minister and now Congress party chief minister, helped navigate the bill through the state legislature. Even before its inception, the Martin Luther Christian University (MLCU) enjoyed support from influential sections in the state, including the political and intellectual class and the church. Not bad, for a university that was conceived 2,700 km away in Chennai. It was only five years after MLCU started functioning that some activists started suspecting there was something rotten in the state of higher education in Meghalaya. The story of MLCU is important because it links the political-economy of privatised higher education and the role of the state in facilitating it, the influence of the church in Meghalaya, corruption, the idea of what a university should stand for and the fraught relations between 'outsiders' and locals in Meghalaya. In 2005 one individual KM Shyamprasad approached the Khasi Jaintia Presbyterian Assembly with a proposal to set up a private university. Shyamprasad claimed to represent the United Evangelical Lutheran Churches in India, which is based in Chennai and has millions of members, including many Dalits and Adivasis. The Presbyterian Church is the major denomination in the Khasi and Jaintia hills of the state. The proposal for setting up a university by the two Protestant churches at first seemed ideal: Shillong is the education hub of the North East and a university sponsored by the Presbyterian Church would enjoy a lot of goodwill. Plus, although the Presbyterian Church had established schools and colleges, it had never set up a University, so the proposal aroused its curiosity. A memorandum of understanding between the two parties was signed by Shyamprasad and the Presbyterian Church in 2005. Interestingly, it was an entity called the National Lutheran Health and Medical Board, claiming to act on behalf of the Lutheran Church and represented by Shyamprasad which affixed its stamp on the MoU. The terms of the agreement stipulated that the Meghalaya Church would acquire the land for MLCU, serve as the local liaison for the promotion and establishment of the university. The two parties also agreed to contribute equally towards an endowment fund worth Rs 1 crore. One of the terms stated that in the event of dissolution of the university the movable/immovable assets would go to the Presbyterian Church while the liquid assets and liabilities would continue to be held by Shyamprasad. What this means is that the land—which was the Presbyterian Church's property anyway—would remain as such, which the money that was made off the land would go to Shyamprasad. Even at a cursory glance the terms in the MoU seem stacked in favour of Shyamprasad. The Meghalaya Presbyterian would basically provide the land and buildings for MLCU, since outsiders cannot purchase land in Meghalaya, and they would use their goodwill to get the bill passed. Vague promises of promoting 'local genius' and 'indigenous knowledge, culture and traditions' were allegedly made by the South Indian side. At this point one wonders why the Presbyterian agreed to the terms. Kyrsoibor Pyrtuh, a church minister with the KJPA who was a party to the agreement and later became a trenchant critic, said, "They took advantage of the innocence of the hills people." He also suggested that some church members may have received pecuniary benefits. The first doubts about MLCU started in 2010, four years after the university started operations out of a church building in Shillong. A University Grants Commission (UGC) inspection team noted that MLCU had told them the land belonged to them. This was never part of the agreement! The Presbyterian Church agreed to lease its land, not to sell or transfer it. Further, MLCU had allegedly opened off-campus centres in other parts of Meghalaya and outside the state, which was a violation of UGC rules. A report on MLCU available on UGC's website states that: "Without consolidating its resources to strengthen its main campus, the MLCU has gone ahead to set up 3 Off-Campus Centres at different locations in the State, which is in clear violation of UGC Regulations." Another observation in the report stated that the existing facilities including the library, computer centre, internet access, laboratories and classrooms are grossly inadequate and an over-ambitious plan to launch more programmes would lead to a reduction in quality. At this point some members of the Presbyterian Church were sufficiently alarmed to want to investigate more. Through RTI filings they discovered a number of anomalies. 1. MLCU was awarding PhDs in as little as 18 months and the guides were not qualified enough. 2. MLCU had opened affiliate/off-campus centres and franchises in the name of distance education inside and outside Meghalaya. 3. Irregularities in the endowment fund. Kysribor and some other pastors of the Presbyterian Church took an active role in investigating the matter further. They wrote a letter to the Lutheran Church in Chennai and received a shock in return. The Lutheran Church said that it was not aware of any Martin Luther Christian University! The United Evangelical Lutheran Churches in India said that the National Lutheran Health and Medical Board, one of the promoters of MLCU, was a separate entity with its own FCRA account. As such the Evangelical Church had no knowledge about the university or the MoU. "This university business has become a private affair of Dr. Rajaratnam and [his son] Dr. Shyamprasad," the letter said. 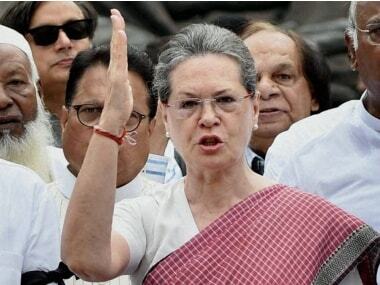 RG Lyngdoh, a former VC of MLCU said that the story started in 2004-05 in the aftermath of the Asian tsunami. The Lutheran Church got a lot of money for tsunami relief from abroad and some members tried to launder some of the money by setting up MLCU in Meghalaya. The state comes under the 6th schedule of the Constitution and enjoys special protections, including income tax waiver. "I joined them because I believed in some of their initiatives, but when I saw what was happening behind the scenes, I left," Lyngdoh, who was VC from 2013-17 said. Let us zoom out a little at this point. In 2002 Chhattisgarh passed the Private Sector Universities Act. A provision in the Act allowed private parties to set up universities backed by the state government. Moreover, it allowed universities to bypass UGC norms on infrastructure, faculty and financial requirements. Several 'educational rackets' used the law to gain a modicum of state backing, which enabled them to award degrees to thousands of students. Yashpal, a former chairman of the UGC filed a petition in the Supreme Court challenging the Act, which the apex court struck down in 2004. This move led to the cancellation of licenses of around a hundred universities, including well-known names like ICFAI University, Raipur; BITS University, Raipur; AMITY University, Raipur. Some of the more outlandish universities were Thamath University, Raipur; Lutheran University, Raipur; LORDS University, Raipur; Celestial University, Raipur; BUGS Vally (sic) University, Raipur and the appropriately named Commercial University, Raipur. The SC order only applied to universities established under the Chhattisgarh law. ICFAI University said that it was also notified as a university under the ICFAI University Act 2003 (Uttarakhand), The Institute of Chartered Financial Analysts of India University Act 2004 (Tripura) and The Institute of Chartered Financial Analysts of India University Act 2004 (Sikkim), according to a report in the Business Line. "Thus, the issue is not whether to have private universities or not. The apex court did not place a ban on private universities per se. As long as UGC recognition is available, it is fine to have a private university," the Business Line report said. It is well known that the education sector, particularly private colleges and universities, are a big generator of black money. Private universities partnering with state governments seem to be one of the networks that generate unaccounted cash that also partly funds the local political class. But it also raises questions about the PPP model in higher education at this point. What is the fundamental role of private universities? Is it to impart quality education or merely a means to make money by exploiting the demand for education? If the state is unwilling or unable to meet this demand through its own resources should it let private interests step in? Who regulates them? There are private universities that meet the highest quality requirements, but then again, the MLCU story shows that this is a move fraught with risk. By 2012 the Presbyterian Church was determined to end its partnership with MLCU. It wanted its land and buildings back and also served a notice for rent arrears. MLCU countersued Pastor Kyrsibor and others for Rs 10 crore. Due to the sustained activism by one section of Meghalaya's Presbyterian Church, the government established a regulatory board for private universities. A report dated 2013 by it found several irregularities with respect to off-campus centres/practice schools/affiliated colleges that MLCU had opened in Delhi, Kottayam, Chennai and Bangalore. It let MLCU off the hook on other issues. MLCU is not the only private university to set up shop in Meghalaya. Techno Global University, William Carey University, CMJ University and others have also used state-sponsored bills to establish a presence in the higher education space in this northeastern state. This is not to say that all private universities are bad. However, entrepreneurs who treat higher education as a profit-spinning venture can set up shop through compliant state governments and lax laws, as the Martin Luther example highlights. Whether this aids or hampers the creation of a pedagogy of quality education is something the government will have to look at. In the second part of the series on Thursday, we look at the Aadhaar enrollment in Meghalaya.